Exponents can be tricky at first, but this game provides plenty of practise! Draw from a deck of cards to find your numbers. 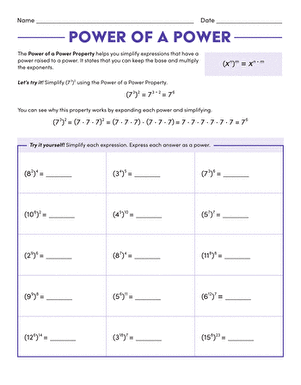 Create a problem using Exponents, and then use a calculator or scratch paper to work out the answers. Help each other out if someone gets stuck. The goal is to create problems that result in the largest products. 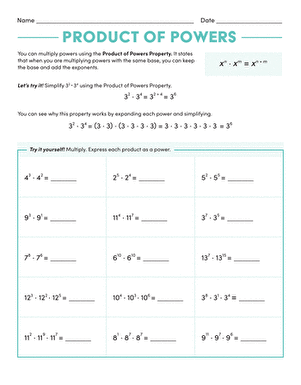 You'll work on multiplication and improve your understanding of exponents at the same time! Decide which player will be the dealer and which will be the scorekeeper. The dealer should deal two cards to each player. 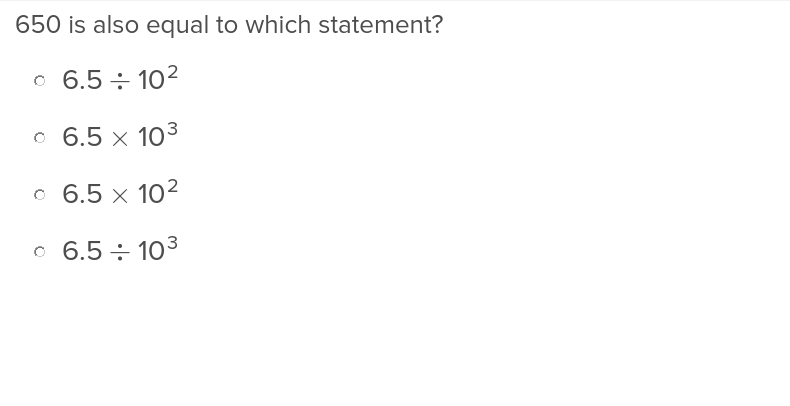 Explain that the goal of each round is to create an exponent with the highest value. 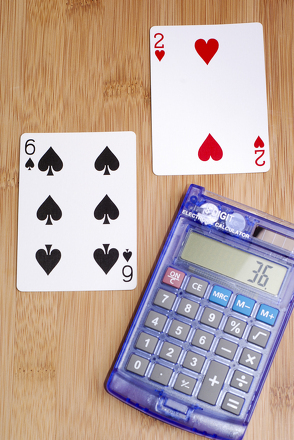 Each player should arrange the cards to indicate which number is the base and which is the exponent. 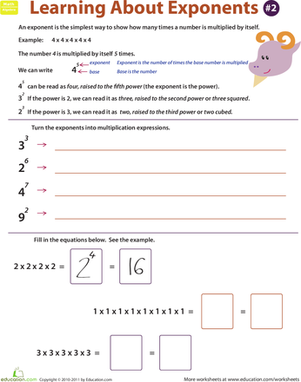 Encourage them to use the two numbers they've drawn to create a problem with exponents. For example, if a player drew a 3 and a 4, they could create the problem 34Or 43. Tell the players that the goal is to create the exponent with the highest value. Have the players use scratch paper to compute their answers and then use the calculator to double check their correctness. Using scratch paper puts the focus on the computation, and double checking their answers will help them learn how to use a calculator effectively. The player with the highest value wins the round. Have the scorekeeper give the winning player a point. Play as many rounds as you'd like. At the end of play add the totals up to see who's won! 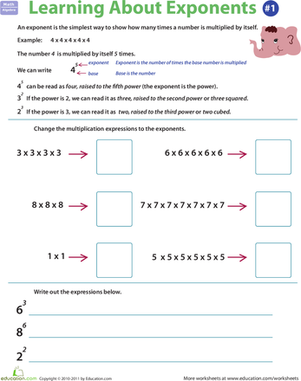 Get on board with exponents with this worksheet that offers a solid overview of this important maths concept. 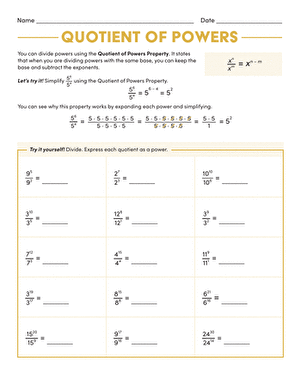 Students familiarize themselves with pre-algebra concepts and vocabulary — including factors, base numbers, exponents, variables, and value — in this introductory overview. 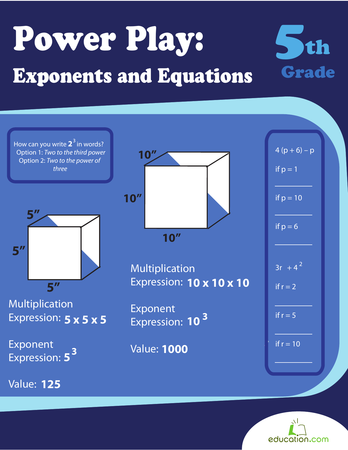 Give your fifth grader an introduction to exponents and an easy exponent exercise. This acronym stands for parentheses, exponents, multiplication, division, addition and subtraction.